The UK food industry might be too preoccupied with what will happen over the next few weeks to worry about the future right now, but once the dust has settled on Brexit eyes will refocus on the long-term vision. 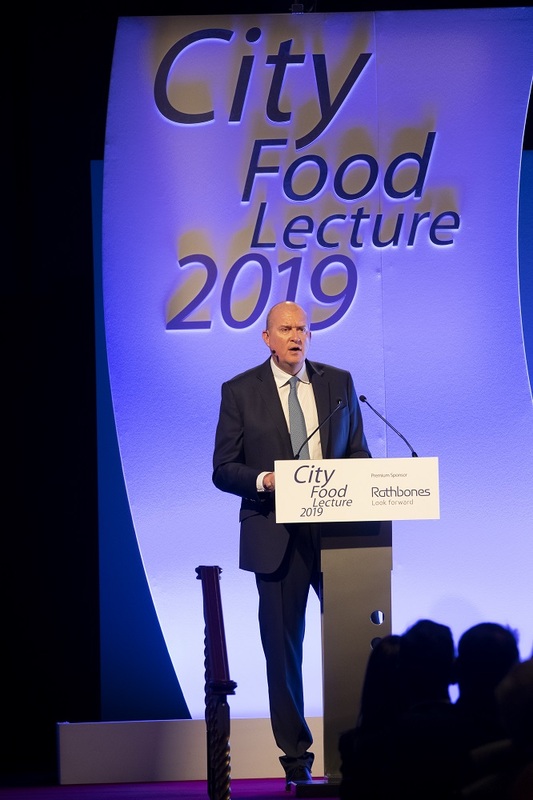 And it was squarely on the coming decades that Compass Group chief executive Dominic Blakemore’s attention was fixed when he delivered the 2019 City Food Lecture at London’s Guildhall on 26 February. 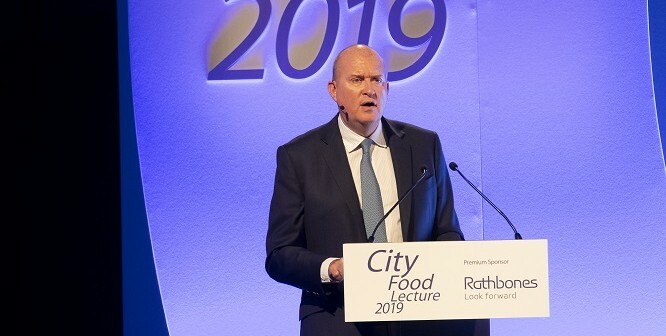 The boss of the world’s largest foodservice company underscored his speech with the sobering fact that in three decades time the global population will have grown to nine billion people, with demand for protein increasing by 80% on today’s levels, leaving the food production industry with the dilemma of meeting that need without threatening the planet. Those challenges must be achieved against the backdrop of rapidly changing consumer fashions, he said, with food having gone beyond fuel for survival to become “a way to be adventurous, a way [for consumers]to express their personality, to be social but also be healthy”. It is a form of identity, part of the nation’s social fabric and a hook for social media, creating opportunity for food as an experiential “occasion”. Technology will play its part too, and Blakemore singled out Google for praise in placing food at the heart of its culture, using it to build community among its staff and give them the tools to make better-informed nutritional choices. Blakemore, who pointed out that Compass has apps, self-service kiosks, dual-purpose EPOS tills and device-free payment capabilities, said technology will be at the heart of future food production. He cited the role of suppliers within that, with one new example being Memphis Meats, a start-up developing beef, chicken and duck grown directly from animal cells. Last year an astonishing $2.2 billion of venture capital poured into food tech start-ups, underlining the prominent role disruptors are set to play. A digital, demand-led culture, underpinned by big data, is inevitable, and seemless collaboration through complex interconnected platforms will become the norm for food businesses, Blakemore concluded. That means partnerships and collaboration will have to be much more commonplace than they are today. Addressing the question of whether there should be a focus on more poultry consumption over red meat due to its lower carbon footprint, NFU president and City Food Lecture panellist Minette Batters said she advocated a healthy, balanced diet, stressing that should be the focus rather that pitching one sector against another. She explained: “We have a fabulous poultry industry and we should be rightly proud of it, and it was brilliant to hear the chief medical officer out in Doha praise our industry’s fantastic commitments to using antibiotics responsibly.